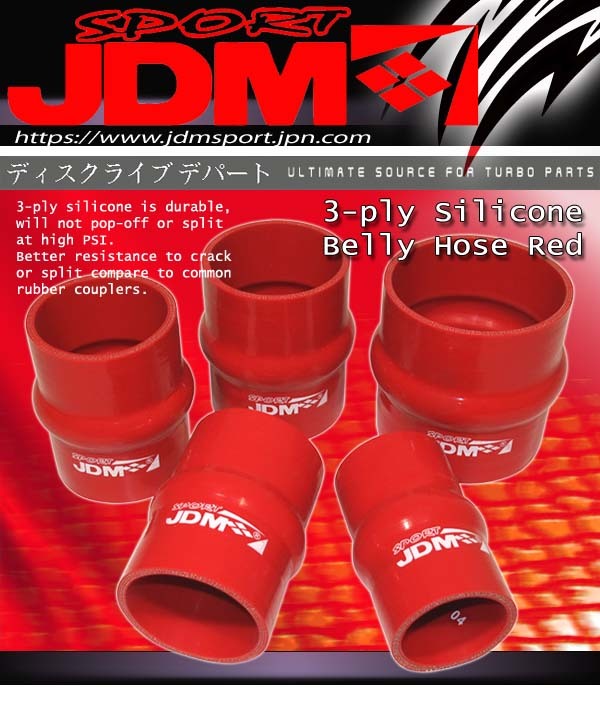 JDM Sport Bellow Type Reinforced Silicone Coupler! !Triple reinforced silicone able to withstand high heat and pressure. Bellow type couplers allow pipe degree change and high engine vibrations. Will reduce vibration transfer due to hard impact shifting or engine movements. Ideal for high vibration engines where brakets and intercooler brackets may be broken. Reduce the chance of charge pipe blow out by reducing movement. Able to withstand 50+psi with no problem.